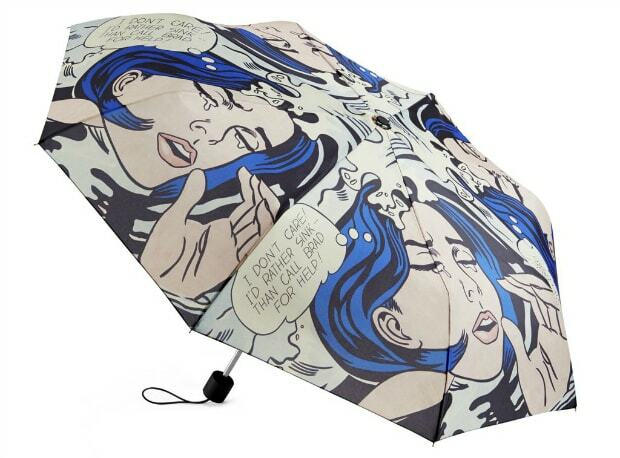 April showers bring… an abundance of cute rain coats, umbrellas, and more! 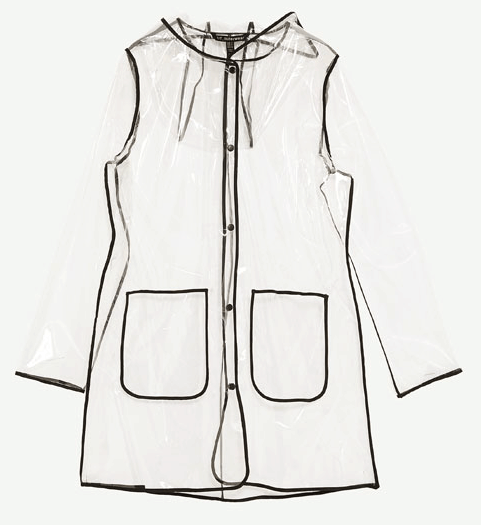 Say goodbye to your flimsy black umbrella and cheap yellow poncho, and wave hello to some chic new rain gear. The perfect rain jacket at the perfect price. It comes in five gorgeous hues, but this jewel-toned blue is our top pick for spring. At first glance, you’d never guess these were rain boots. 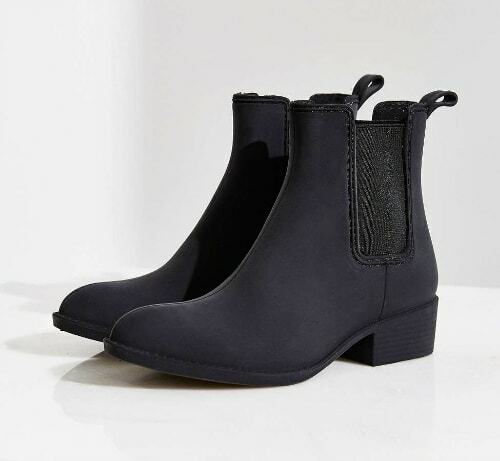 The matte finish gives them a suede-like look, but these booties are 100% waterproof. 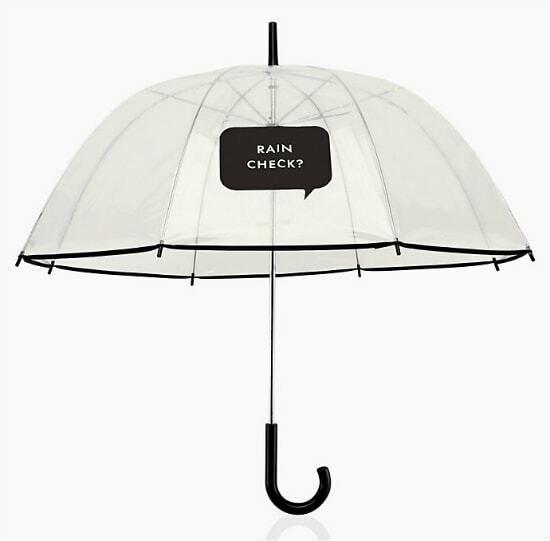 Kate Spade’s whimsical umbrella does all the talking. Pair it with our #10 pick for a double dose of rainy day cool. This isn’t your mother’s L.L.Bean windbreaker. 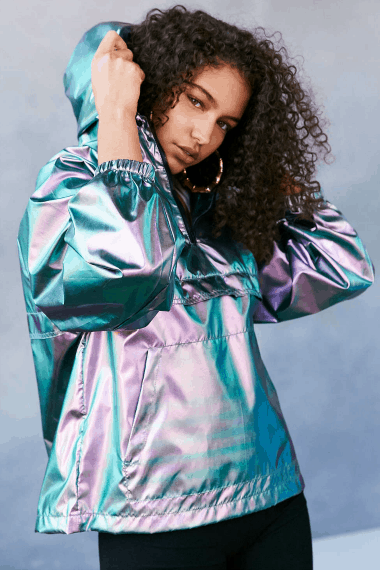 A trendy iridescent fabric takes this water-resistant jacket to stylish new places. It even comes with a pouch, so you can just toss it in your bag and go. 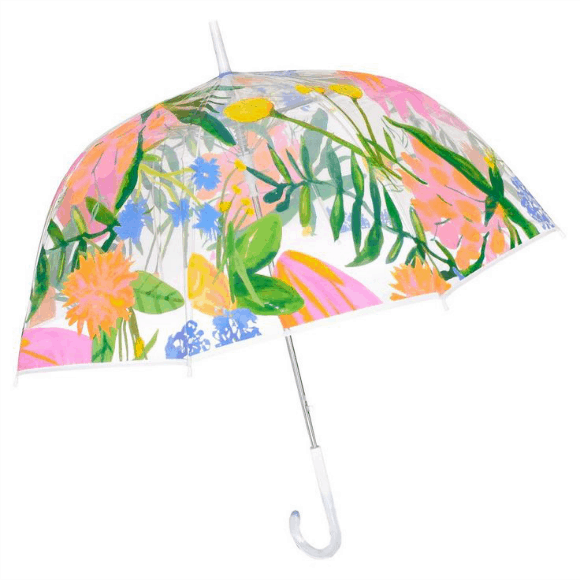 Get a head start on those May flowers with this colorful botanical umbrella. You’d be hard-pressed to find a more sophisticated rain boot pair. 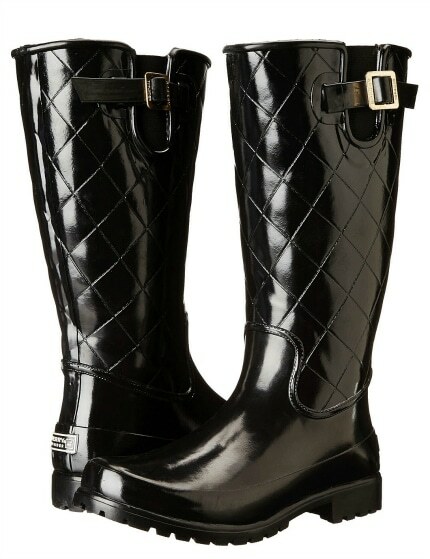 The eye-catching quilted texture and buckle closure makes them look so much more expensive than they actually are. Fuel your rose gold obsession with this pretty little rain coat. A must-have for any art major. 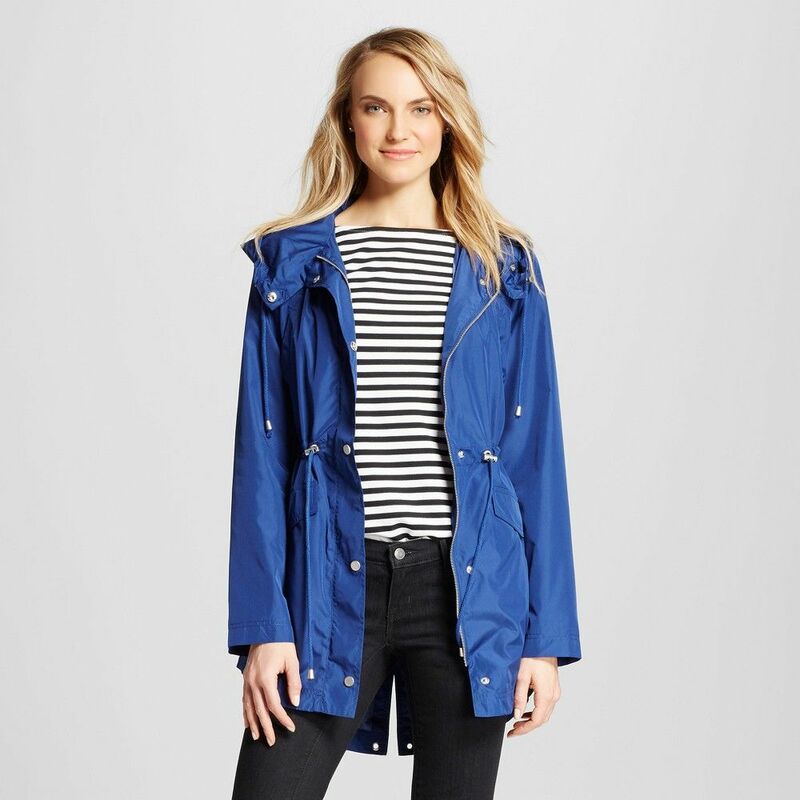 Grab it along with our Target rain coat pick for a perfectly color-coordinated ensemble. 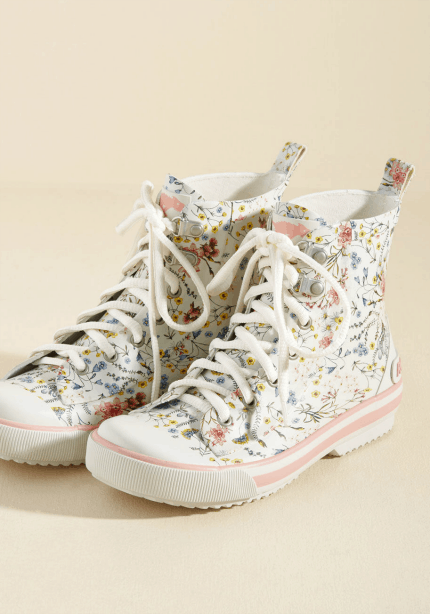 Part sneaker, part combat boot, these fun printed shoes were made for splashing through puddles. Because sometimes your outfit looks too good to be covered up. Contrast piping ups the cool factor of this rain slicker. 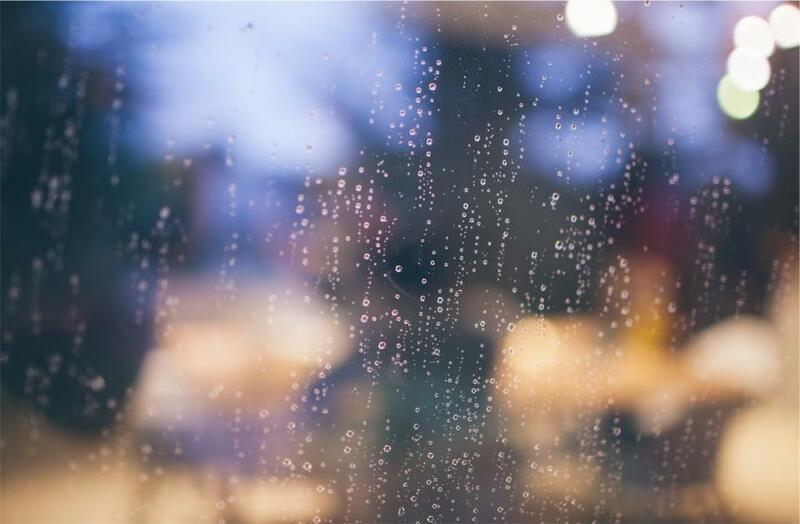 What’s your go-to rainy day look? Do you prefer rain coats or umbrellas (or both!)? Do you have a favorite pair of rain boots? Tell us your best rain-ready fashion tips in the comments below.